Although we manage to find time for a few nibbles in the morning, we’re just not that into scarfing down a big meal at the beginning of our day. Instead, we’d much rather enjoy a big breakfast as the day is winding down and truly take our time and savor such traditional and comforting flavors. These homemade pancakes are especially popular in our house as they’re quick and easy to make plus they make for a delicious, wholesome treat. 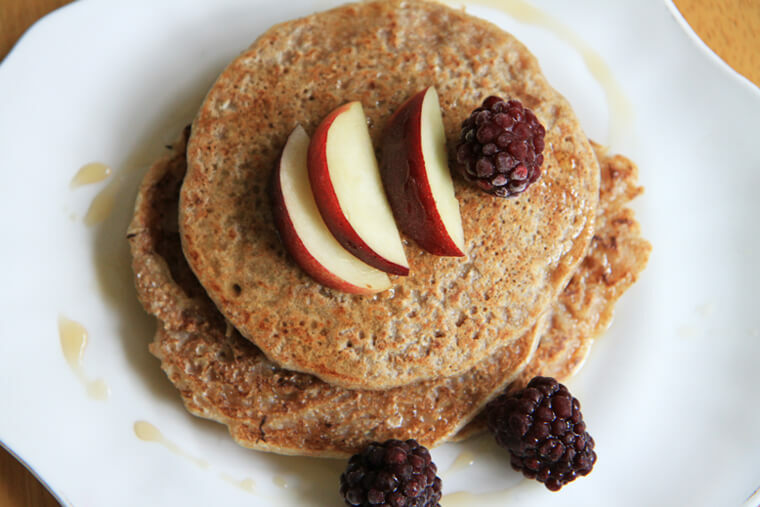 Perhaps it’s because buckwheat used to be a lot more popular a hundred years ago, but there’s something about buckwheat pancakes that hearkens back to an earlier time – the days of pinoneering, log cabins and pot belly stoves. It may surprise some people to learn that buckwheat is actually a fruit even though it is commonly thought to be a grain. Buckwheat is a fruit seed that is related to rhubarb. Numerous health benefits are buckwheat`s prime claim to fame. Firstly, it does not contain gluten, so it makes an excellent substitute for other grains in the diet. Studies have indicated that consuming buckwheat may combat high blood pressure and high cholesterol. Also, buckwheat does not lead to peaks in blood sugar levels. The protein in buckwheat contains the eight essential amino acids and is also high in lysine. Buckwheat is also rich in many B vitamins as well as phosphorus, magnesium, iron, zinc, copper and manganese. Plus it’s an excellent source of fiber. Place flour into a medium mixing bowl. Gradually add water and stir using a whisk or fork to remove lumps. Mix until paste is formed. Leave to settle for about 20 minutes. Heat a pan over medium-high heat and add a little coconut oil. Ladle just enough batter onto hot pan to coat whole surface. Cook for about a minute and a half on the first side or until the surface is covered with small bubbles and the underside is nicely browned. Flip and cook for about a minute on the second side. I always need a few practice tries (munching the unsuccessful ones is a bonus!). Serve stacked high with plenty of maple syrup topped with fresh fruit. 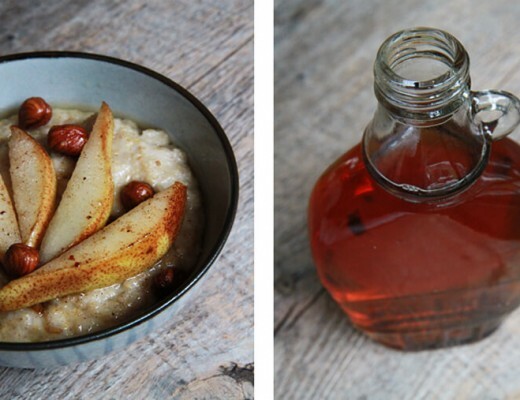 What are a few of your favorite ways to whip up a little breakfast for dinner? You’re very welcome Jovana! I’m glad I could help you out :) You’ll have to let me know what you think of the recipe. Enjoy! Katie, this was the response from my mom: “Omg, these pancakes are amazing- are there more?” … Anywho… We’re having them again for supper! Paired my breakfast pancakes with a cranberry and gojiberry spread (home-made) and your orange-dream juice…. Well let’s just say – my la familia won’t be complaining about my vegan dishes for long! THANK YOU :) Will recommend your site and visit often! And this recipe seems so simple, I’m going to try it! Thanks for stopping by Márcia! Not only are these pancakes an excellent source of protein, they’re incredibly filling and delicious. You’ll have to let me know what you think of them. Hey, I love the look and simplicity of these but was wondering roughly how many pancakes a one cup batch will make? If i’m not careful with portions, I’ll be tempted to eat them all! Hi Aly, that’s a great question! It will really vary depending on how large one makes their pancakes. I was able to get 5 from one batch. If you like, you can refrigerate any leftover batter for another day. It saves nicely. I hope you found this helpful! Hi! These pancakes surprised the heck out of me — no baking powder, no flax egg, no mashed banana — they are so simple! And they totally work! I’m on a anti-candida diet right now, and these fit the bill. 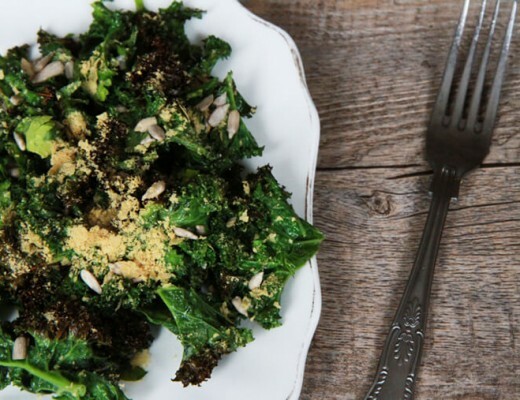 Thanks for sharing this ingenious recipe! Thanks for stopping by berealyoga! :) I’m thrilled you enjoyed the pancakes. I’ve heard the candida diet can be a tough lifestyle change to embark upon. How is it going for you? Its good to know this recipe fits the requirements. This recipe was an epic fail for me! It sounds so fabulous and the pics are great but it just did not work- i followed the recipe to a point yet the batter was too liquidy and the “pancakes” did not form at all (after 5mins on med-high heat). I had to add more buckwheat flour and some white flour to thicken the batter and finally got some ok pancakes out of it. Anyone have any advice???? Hey Nicky Lee! Thanks for stopping by :) I’m not sure why the pancakes aren’t coming out for you. Maybe it has to do with the type of flour you are using – is the flour more course or finely ground? I believe I used a very fine flour to make these pancakes. I hope you find this helpful! Hey Katie! I made these pancakes this morning just for myself. They are totally simple to make and taste fantastic! I love the texture as well as the taste. Coconut oil is such a great choice as it does not burn and so little is required. I am on a three month vegan diet for meditation purposes. These pancakes are a real boost with their amino acids and protein content. Hello Katie, thanks for this recipe! I was looking for simple buckwheat pancakes without eggs and milk and these turned out very well. btw Have you any idea how much of these good things from buckwheat remains in flour? I mean how healthy it is to eat these pancakes? Have a lovely evening, A.
Hi AninKa, I’m glad you enjoyed the pancakes! 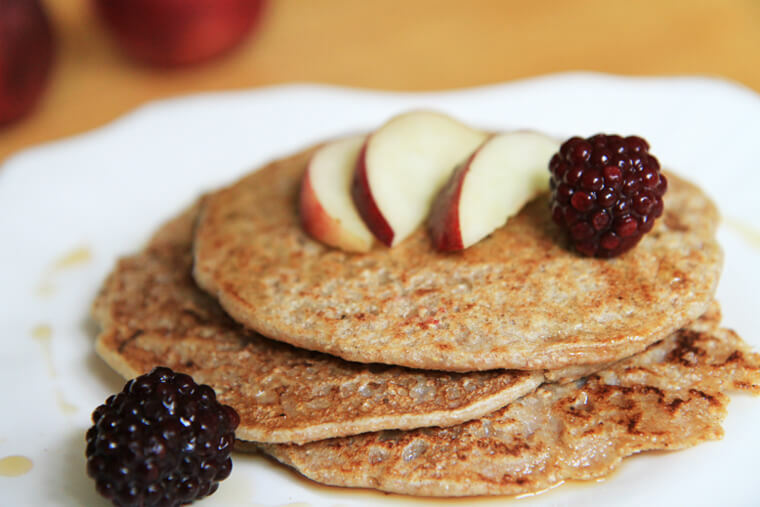 That’s a great question – buckwheat flour is extremely good for us. Even after buckwheat is ground into flour it is still high infiber, protein and many essential vitamins and minerals. It is a great alternative if you’re concerned with gluten consumption as well. If you’re comparing the nutrition stats between white flour and buckwheat, there isn’t really a contest there. Since we aren’t adding dairy or sugar and we’re using a healthy fat (coconut oil), this recipe still remains a healthy meal. I hope that answers your question! :) Hope you are having a wonderful weekend!